Soft healthy & beautiful skin- pumpkin juice is a good source of vitamin C, E, beta carotene and zinc, which helps to keep the skin youthful, smooth and radiant. 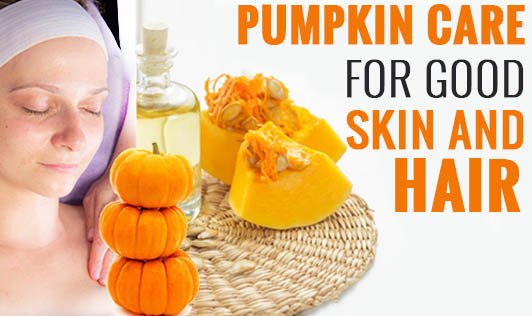 Prevents ageing of skin - Highly nutritious pumpkin juice makes an excellent anti - wrinkle and hydrating mask. All you need to do is combine pumpkin juice with honey, yoghurt, lemon juice and vitamin E oil to make a nutritional face mask for all skin types. Treats hair loss- Vitamin A and potassium rich pumpkin juice is beneficial for your scalp and promotes hair re- growth. Moisturizes hair- Pumpkin juice effectively moisturizes dry, damaged hair. Blenderize 2 cups of cooked pumpkin, 1 table spoon honey, 1 tablespoon yoghurt and coconut oil together and apply this mixture on your hair, cover it with a plastic cap for 15 minutes and wash thoroughly with a shampoo and conditioner as usual. Although just a few pieces of pumpkin are enough for great skin and hair, make sure you're not allergic to pumpkin before trying any of these tips.